This weekend I attended a beautiful wedding of the the niece of one of my mum's close work friends. I love weddings, the whole excitement of seeing two people starting a new chapter in their lives and seeing two families combine as one. It's always very exciting and it's lovely to share the special moment with the happy couple. 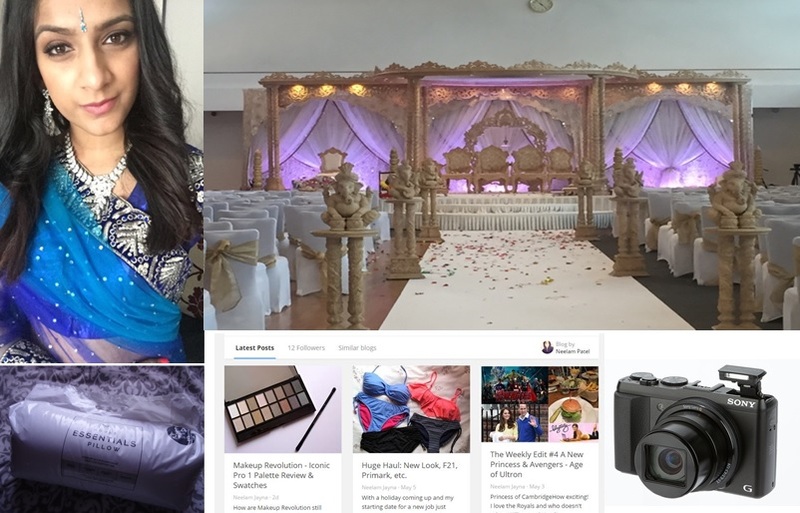 The wedding I attended was an Indian wedding which includes many traditional stages as well as a lot of fun and games between the bride and groom! 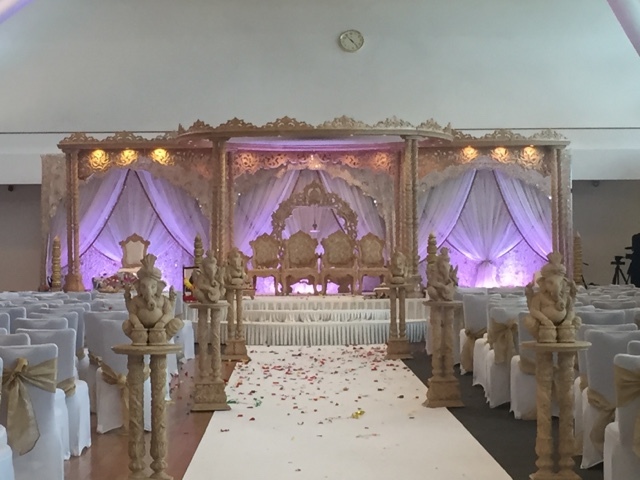 The picture above shows the layout of the wedding, once the ceromony was finished - hence the flowers and confetti on the floor. The venue was beautiful and everything was so elegantly planned. I wore an indian Blue/Green Sari which I loved, despite it being hard to wear. I hope the next wedding is soon! Does anyone else find it so much easier to revise nearer to the time of your exams? It's probably to do with that sudden panic you get and the realisation that you actually know nothing. Yes, that is where I am right now. My exam is on the 14th and even though I am quite comfortable with my course and have grades I am overly happy with, but this exam is in a Law module. As an Accountant student, I find theoretical way out of my comfort zone so memorising all the cases and terms is proving to be difficult! If there was any number crunching to do I would be more than happy. But hey ho, less than a week and it'll be over! Hope all your revision is going well - exam season is never fun! I have been on a search for a new camera for a while now, I've always used my iPhone to take pictures for my blog - don't get me wrong, the quality is incredible! But once it's blown up on the computer, you begin to see the imperfections. I have a a lot of posts scheduled up where I have used my iPhone, but I'm hoping to retake the pictures with my camera. The posts that are going up for the next week or 2 will be have been taken with my phone, but hopefully you will begin to see the difference when I introduce my camera pictuers. The camera that I got is a Sony HX50 and I love it, it's a bit pricey in my eyes, but I had vouchers to spend and it's (another) super early birthday present from my Grandparents. The camera is incredible, their is no fault to it - I want to do a review post on it, but I think I will wait till I become more familiar - plus it'd be a review for newbies as, I myself, get super confused with all the high-tech camera talk! I've recently realised how flat and non-rectangular my sleeping pillows are. Despite sleeping with two, they are both flat enough to feel like 1! Because I change pillows quite often, I decided to buy a 2 Essential pillows from Next Home. They are £4 each or 2 for £7, which is pretty cheap! They come rolled up in a sausage shape, so it's hard to know what they feel like - however, a customer naughtily decided to open one and I finally got to see what the texture was like! I was really surprised with just how soft and fluffy they were! I was expecting them to be pretty rubbish because they are the cheapest pillows in the whole of the range from Next.. But I really like them, I've only slept with one and one of my old flat pillows underneath and it's just right! I didn't want to get out of bed this morning because I felt so comfortable. They're machine washable and they have a 'breathable' material too.